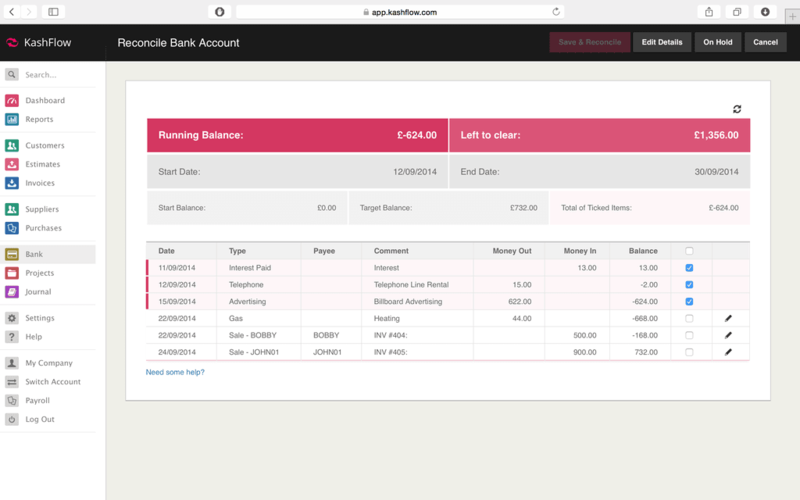 If you are currently using our old style bank reconciliation then you might fancy an update to our new style which makes reconciling clearer and more efficient. If you do then there are a few steps you need to follow to make sure the transfer all goes smoothly. The first thing you need to do is make sure that the every transaction is reconciled up until the day that you are changing the reconciliation styles. It is usually best to plan in advance so you can finish the reconciliation and then make the switch just after. Now you will need to make sure that your reconcile date is set to start reconciling at the right point. To do this you will need to go to Bank and then press Edit Details on the account you want to reconcile. Now you will see a date here called reconcile date – this needs to be set the day before your next reconciliation, and then hit Update. You are now all set to do your first reconciliation with the new style enabled.